License: IMPORTANT: This is a commercial product made by Stellar Soft and cannot be modified see more for other than personal usage. This licence is valid for one domain only. Redistribution of this product for free or for a fee without written permission from Stellar Soft is strictly prohibited. 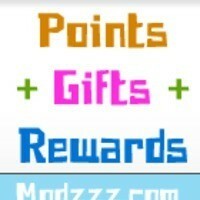 This is a combination deal for the Points mod and Ultimate Gifts and Rewards mod. This discount cannot be combined with any other deal offered. As members on your site earn Points, you can offer Rewards that they can redeem with those Points. * Uses the Alerts System. No Dolphin files are modified. * Ability for members to Donate Points to each other. * Ability for members to purchase Points. * Ability for members to purchase Membership using Points. * Integrated with Dolphin Payment system. * Two-way Points - This allows the Awarding of Points for both Participants of an action. For example, if you comment is made on a Profile, Points can be given to both the Profile owner and the person making the comment. * Gifts are divided in Standard Gifts and Premium Gifts. * Members can Gift Wrap Premium Gifts. * Members can Post Message along with the Gift. * Gifts can be sent as Private, Public or Anonymous. * Members can choose to send a Gift to multiple Recipients at the same time. * Preview Block on Member Account Page to show the latest Gifts received. This is filtered by Day, Week and Month. * Over 3000 Gifts are included in different Categories. * Rewards Shop will offer your members incentives for their activities on your site. * The shop allows you to add products from the admin and members can redeem them with Points earned or Credits purchased. * If used with the Points mod : You can offer inexpensive products such as IPods etc . This will motivate your members to participate more on your site and earn as much Points as possible. Below is a summary of a few of my mods that integrates with Points in some way. Reward module - Allows members to use their accumulated Points to redeem Rewards. Premium Featured Members and Spotlight Ads modules - Members can use their accumulated Points to become Featured or Spotlighted. Verified module - Members can use their accumulated Points to become Verified. a) Require members to use their Points for buying Tickets. b) Offer Points as Prize. Challenges - Members can gain Points for completing Challenges. Goals - Members can gain Points for fulfilling Goals. Dares - Members can gain Points for Posting and Completing Dares. Bets - Members can use Points for Wagering. Flowers, Gifts, Drinks modules - Members can use Points to send Flowers, Gifts, Drinks to other members. Flirts - Members can use Points to Flirt with other members. SuperPoke - Members can use Points to Poke with other members. Suggestions/Ideas module - Members can gain Points from making Suggestions. Reporting Tool module - Members can gain Points for reporting unwanted behavior by other members. Reputation module - Members can gain Points from having a good Reputation. I must say, that there are not enough stars for the work "modzzz"
provides to us in this community. this module should have been part of the source code from boonex. i have used other gifts and points mods and this is by far the best out there! All I can say is Modzzz you done it again. Bringing out great mods with even better support. This product is not compatible with version 7.1.0 the seller writes Requirements: 7.1 but not working i have test it is fantastic up to version 7.0.1 - 7.09 stay careful to buy for Dolphin 7.1.0 generates errors and still not updated. I do not understand what the seller wrote Requirements: Dolphin 7.1 this creates confusion, is a big difference between 7.0.1 and 7.1.0 carefully. This developer's modules form the core of my site! He has been more than helpful on any of the occasions I've contacted him for assistance! I look forward to obtaining more mods from this developer!